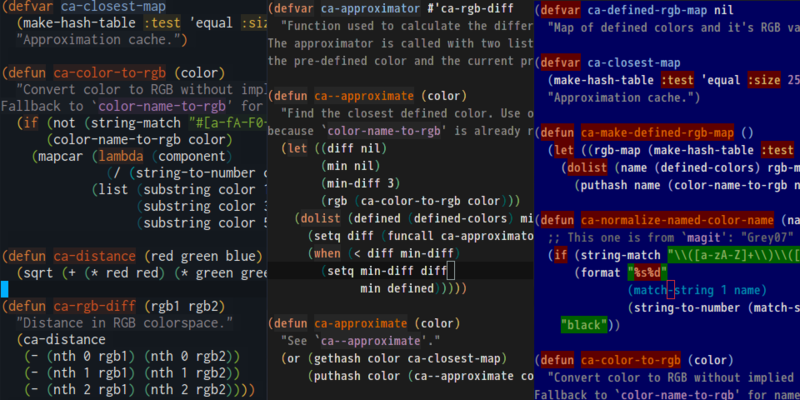 Color themes usually defined in 24bit, while terminals normally only support 256 colors (8bit). Emacs&apos; default degration algorithm doesn&apos;t work well in some systems, especially Linux. This package provides a better degration results by alter the default degrading algorithm. Note that I only encountered the problem in Linux, on Mac OS X the degration seems to work so you don&apos;t need this package. Note: I test this only on Emacs 24.1 and above. Pull requests for supporting other versions are welcomed.